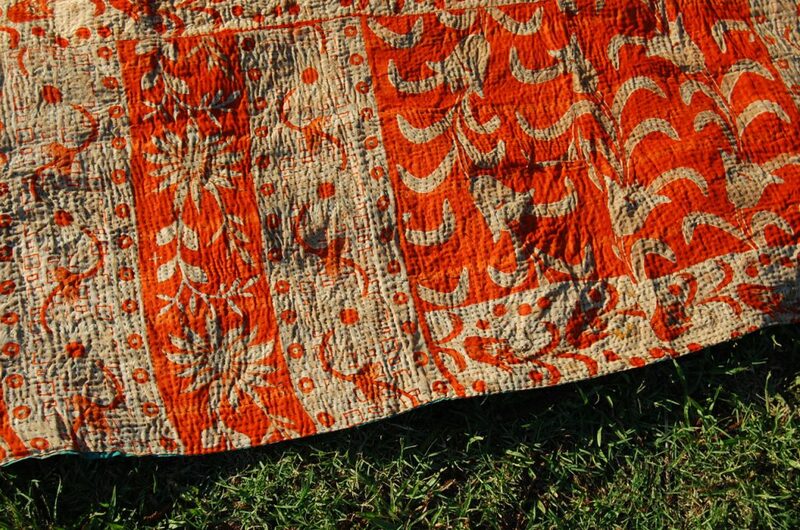 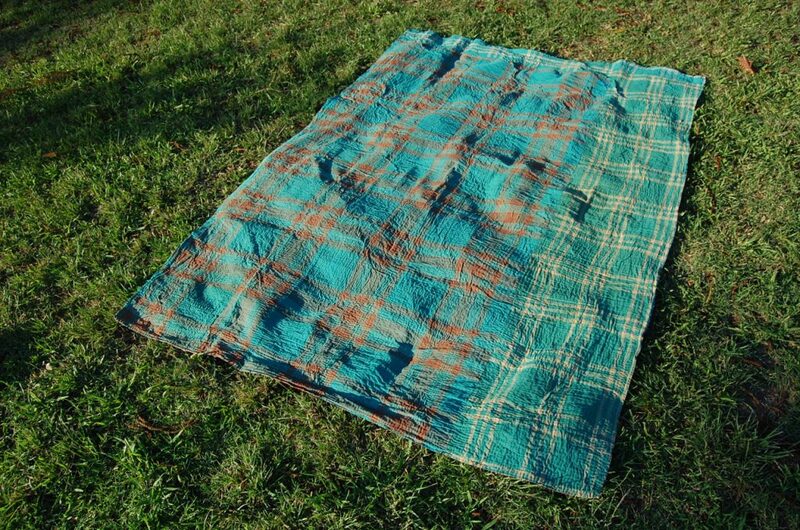 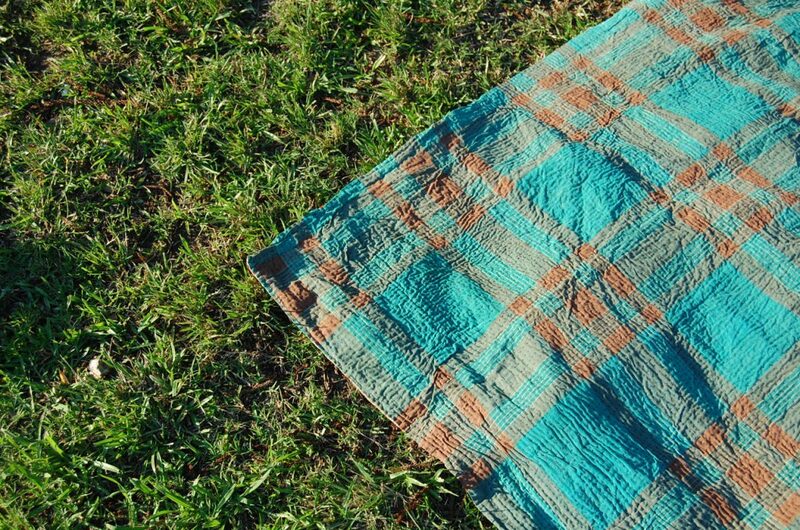 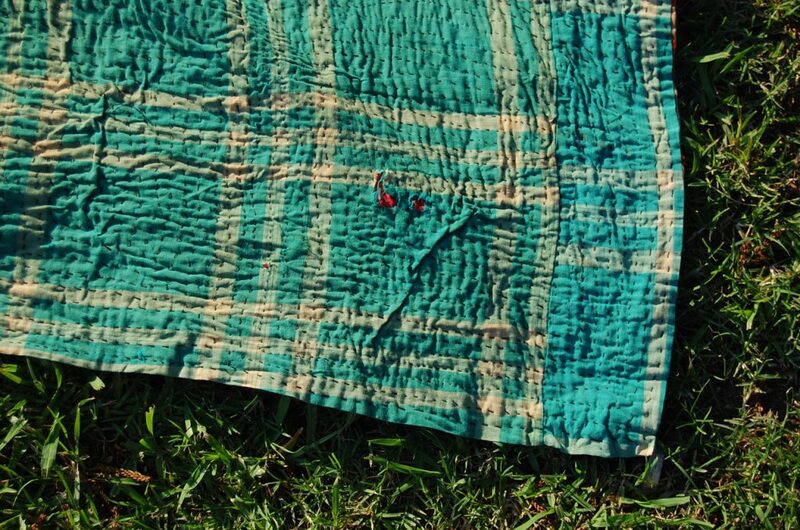 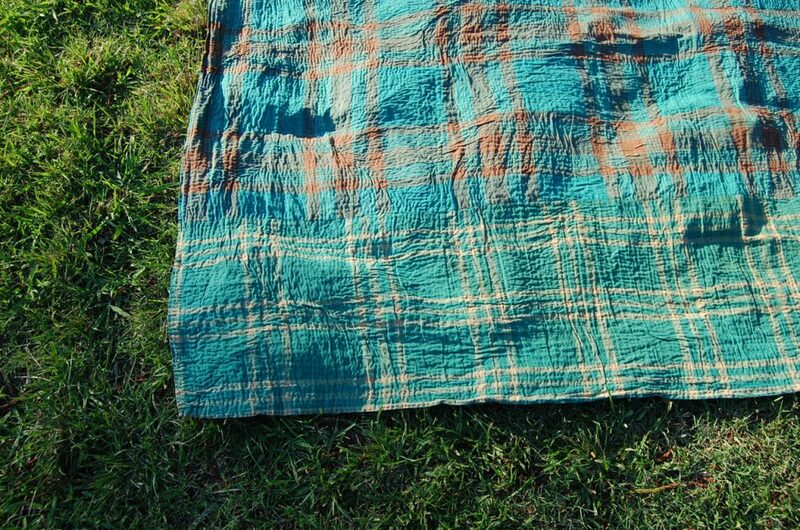 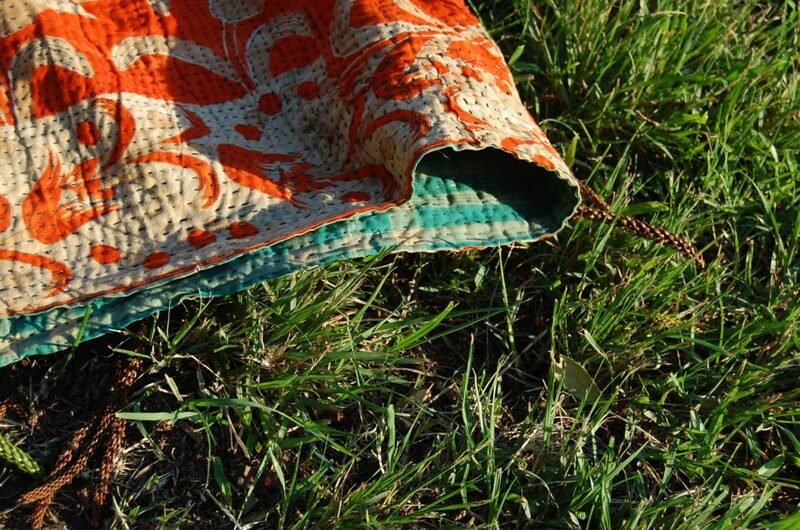 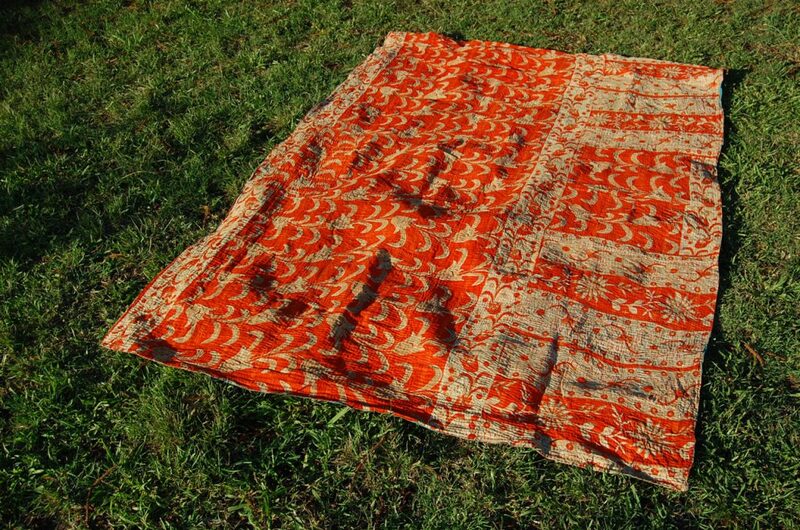 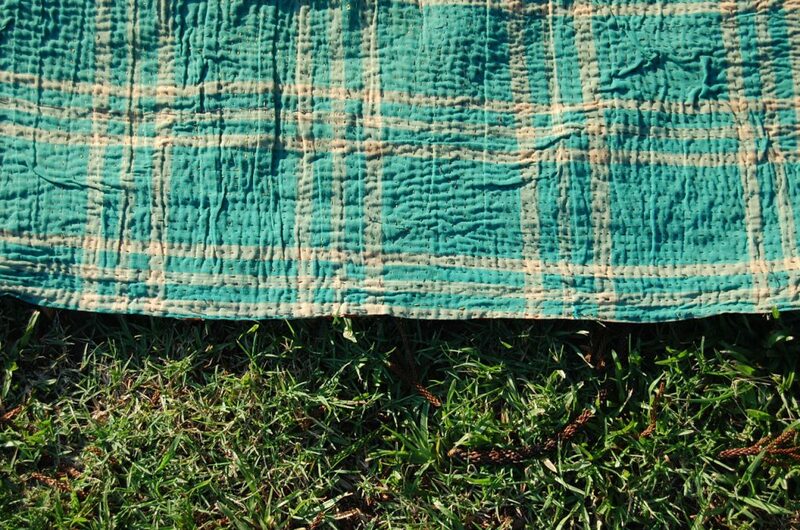 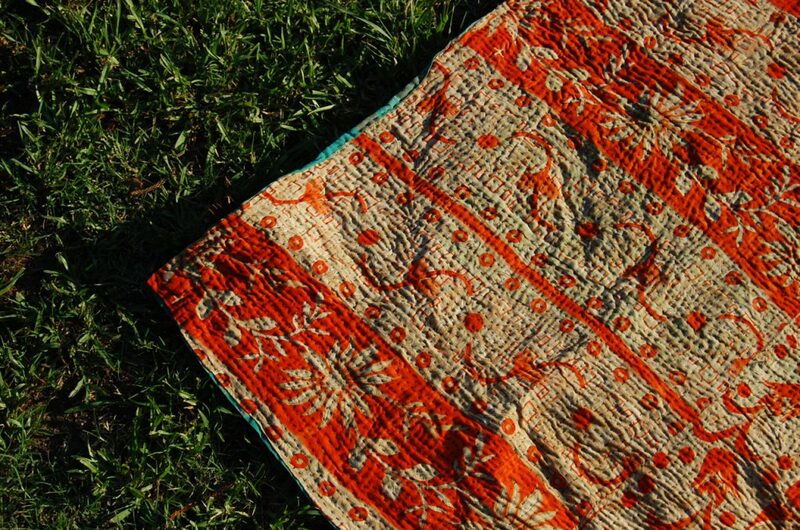 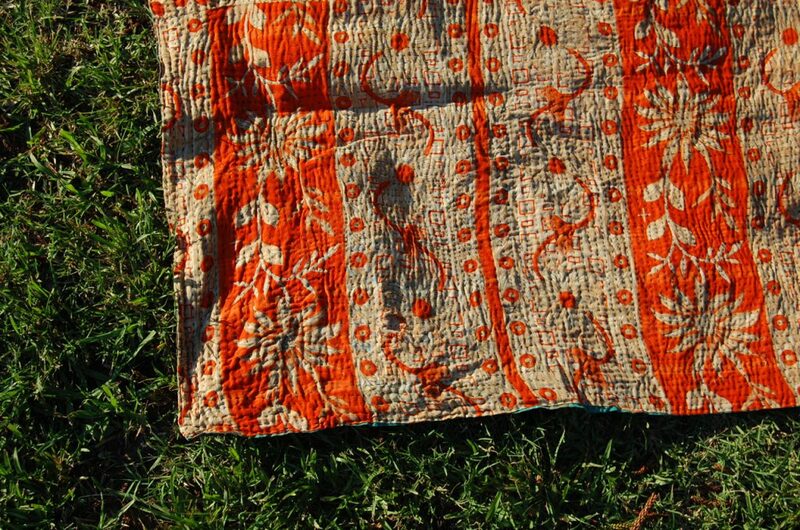 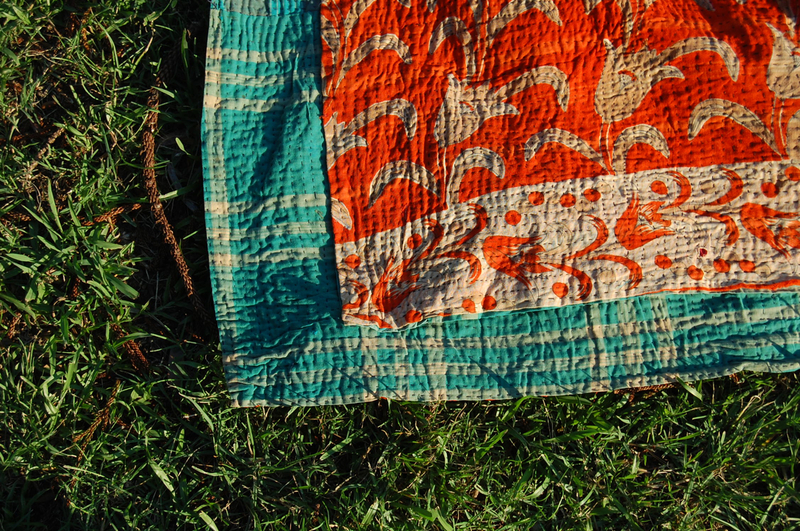 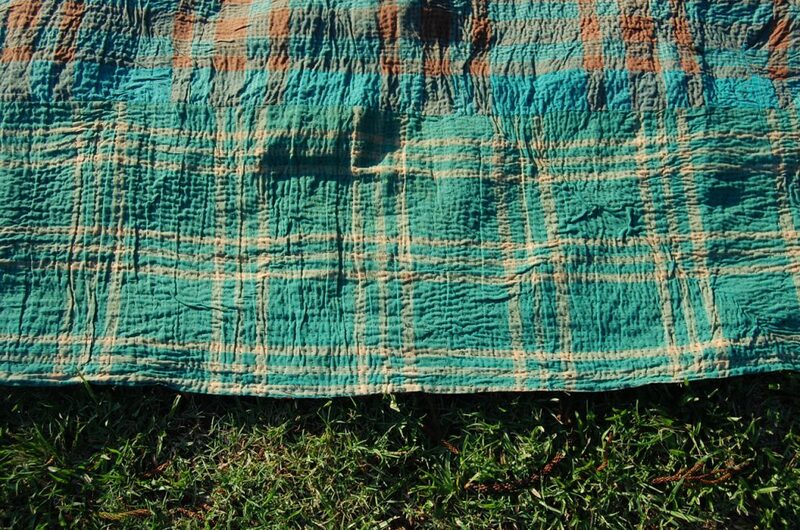 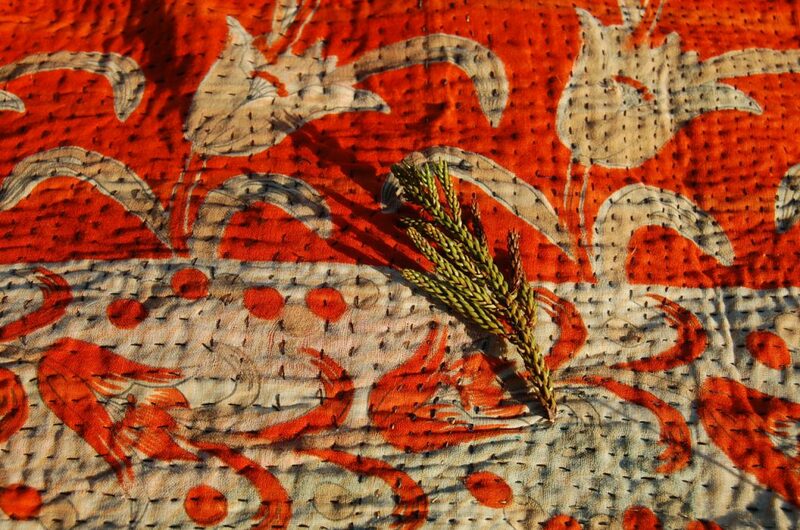 Such a happy vibe this Indian kantha quilt emanates! 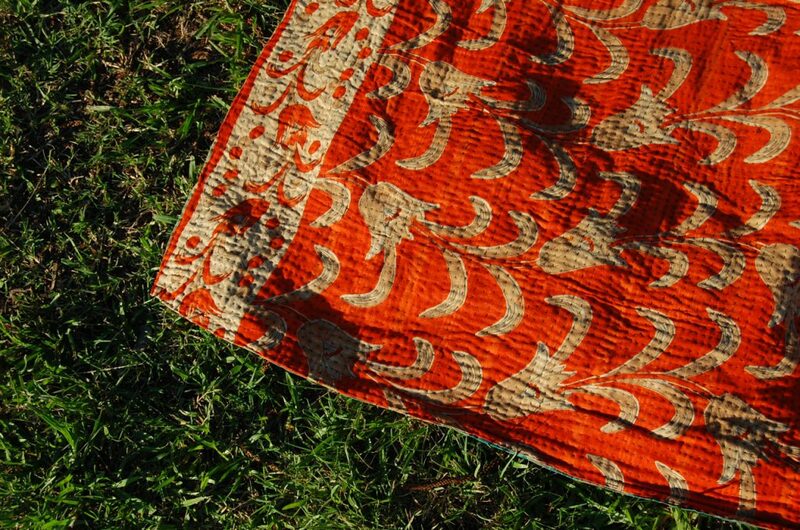 With the contrast of two brightly coloured sides – one cooling and one warming, how can you go wrong? 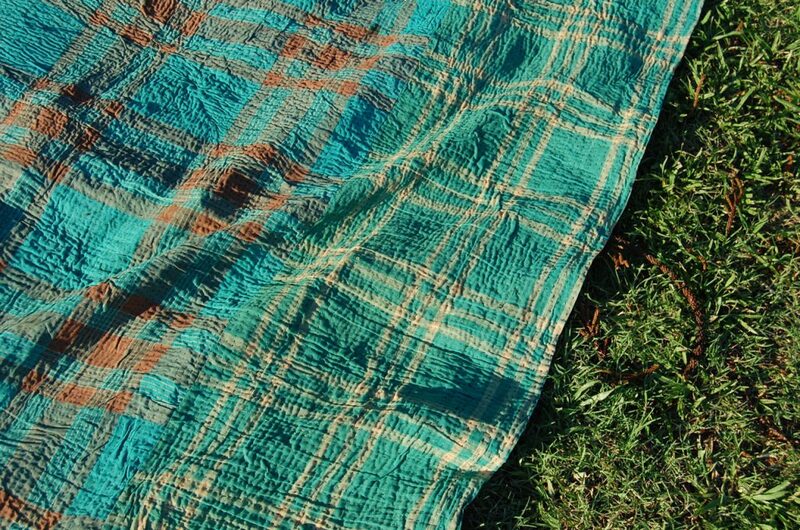 Whether you are after a picnic rug for a happy Spring, Summer or Autumn day or you want to snuggle up in the Winter, this quilt does everything! 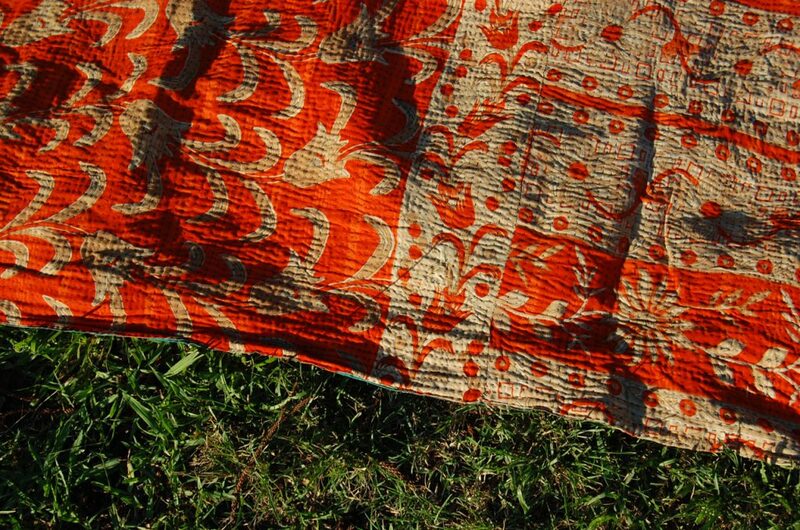 Cotton blanket throws are an increasingly popular choice for all seasons of the year. 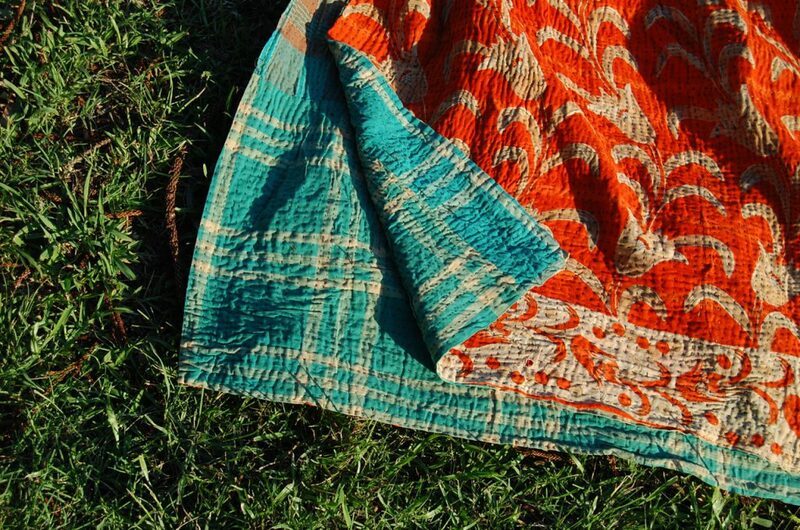 Vintage recycled saree kanthas are better for you, better for the planet AND better for animals too!